Thursday, November 2nd, 2017, Blogs, Final Thought: Sparks from Few’ll Ignite Sound, News. Well, they say things happen in threes. 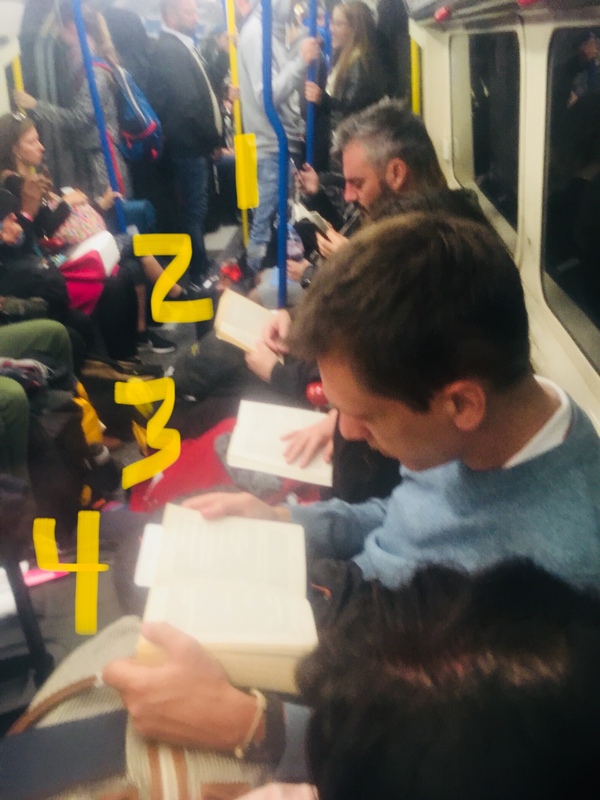 In this shot, I counted four unrelated people actually reading physical BOOKS on the tube. I’m impressed, London! The shops were closed when I arrived. 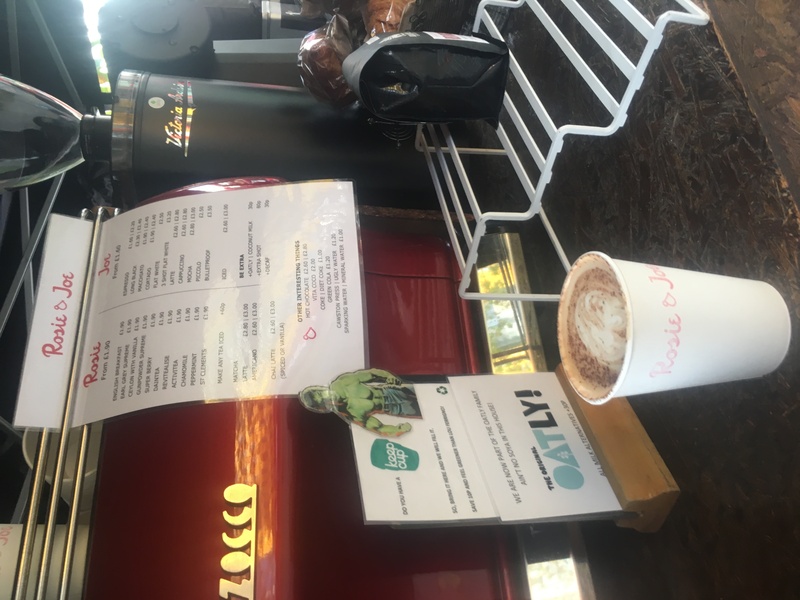 I first sorted out my phone card and then had a fabulous coffee at a cute little kiosk outside of a church called Rosie & Joe. 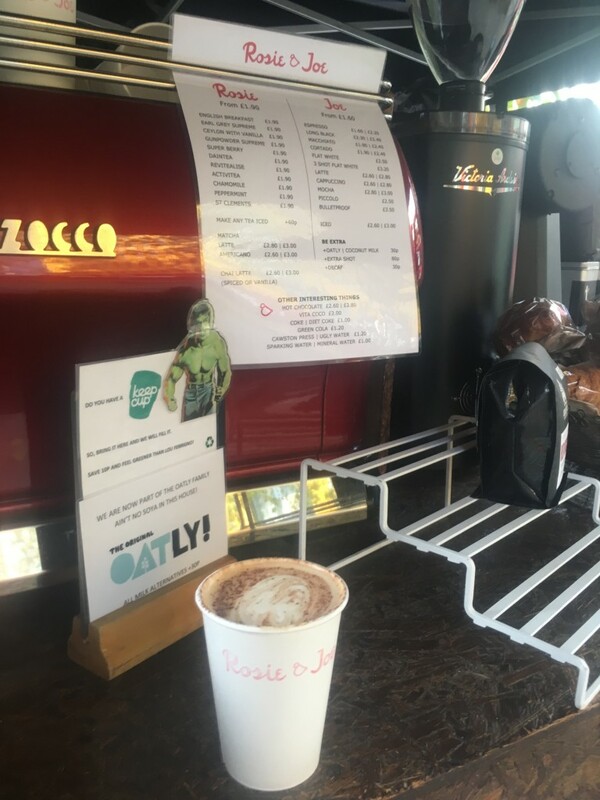 I’m not much of a coffee drinker, but lately I’ve started to appreciate quality java. 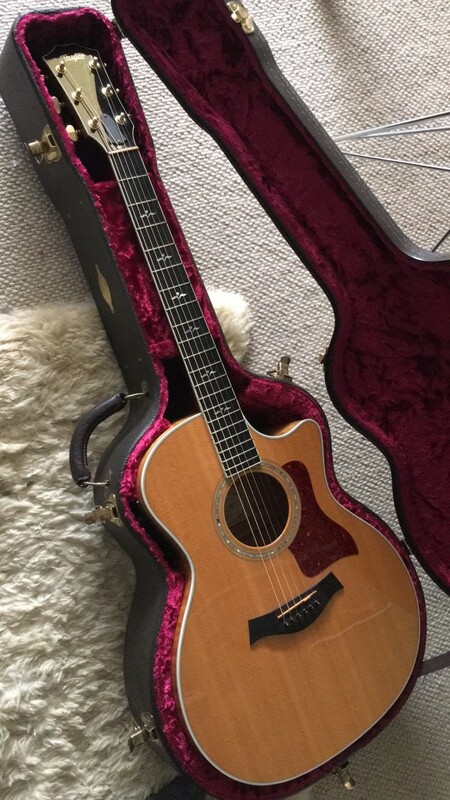 It’s a second hand Taylor and when I walked into the guitar shop, I went right to her. To me, guitars have to sense you. They have to be able to communicate with you and you with them. And, besides, new guitars come with new songs *hidden* in them and as soon as I picked her up, I knew she had new songs for me tucked inside her hollow wood. Okay, so I fell in love. I pulled out the credit card. I then reunited with a friend of mine from Australia who happened to be visiting London at the same time and we had a fabulous catch up session and lunch before I headed to the airport with guitar in hand to pick up my recalcitrant luggage. Then, back onto public transit to head to the show and, thanks to crazy traffic while I was on the bus to Putney, I was hauling my full regalia of bags into the venue just ten minutes before the sound check period was supposed to be over. They were very kind and still let me have a proper sound check. I was also really grateful for the artist green room with a lockable bathroom that allowed me to finally change my clothes and comb my hair. The gig was amazing. The room was full of “punters” and they seemed to really enjoy what I was doing. No complaints in the least. After the performance and the other bands had finished, I was enjoying a drink with some friends when we all decided to go and grab a bite before ending our evening. It was about 11:00 pm, the performances were over and things were winding down on a Monday night. I went into the back room to get my luggage, pedal bag and guitar and… only two of those items were in there. I spun around. Air lost its ability to fill my chest. The walls felt oppressive. The blood in my temples started pounding. I know that’s the adrenaline of anxiety; I’ve felt it before. 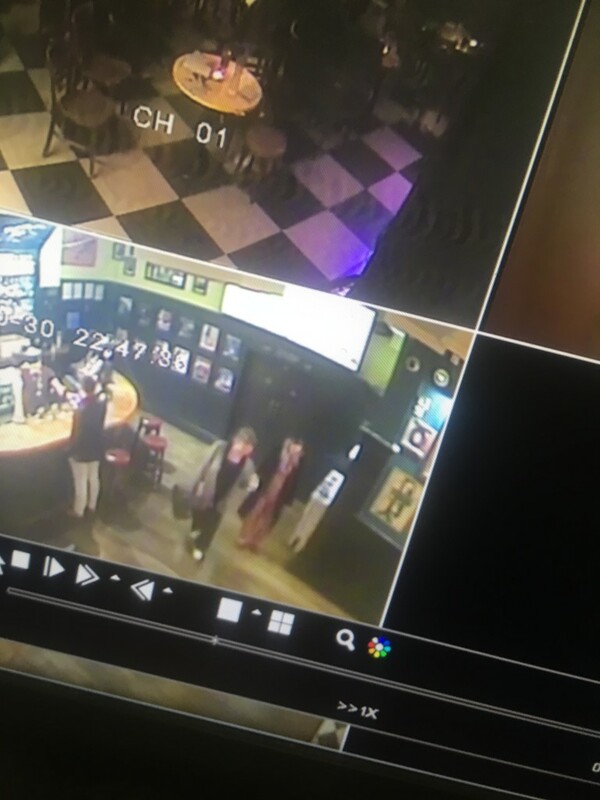 I rushed around looking, notifying the staff, telling my friends what was happening, and everyone joined in. It was nowhere to be found. There was, however, another guitar there that no one had claimed. All the other bands had left already. 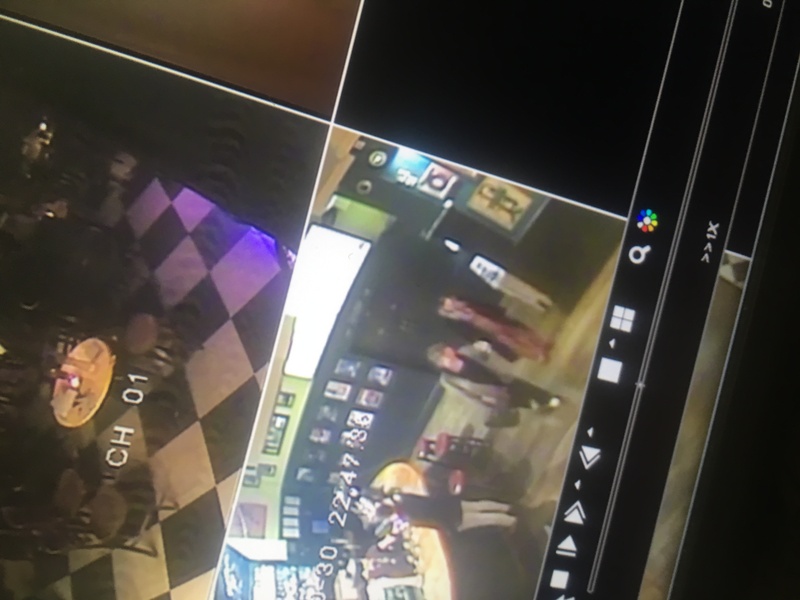 After scouring the venue, then pouring over security camera footage, seeing an unrelated woman carrying the instrument out on camera (not even a band member we could recognize), calling the booking representative of the venue about the other bands’ contact information, contacting all the bands in whichever way we could (Facebook, Twitter, email, text) to ask them if they had possibly taken home the wrong instrument, etc., there was nothing to do except wait. It was after midnight before I left the venue, heart heavy with the fear that my guitar had indeed simply been “nicked,” and that my love affair with her had lasted but one gig, never to be enjoyed again. I arrived back in my friend’s house in Lewisham after 1am and the adrenaline of the evening kept me up beyond 2am. Finally, I fell asleep but was awoken in the morning by the sounds of kids getting ready for school and, just moments after opening my eyes, the rush of heart sickness returned. I had lost her. She was gone. I had no guitar for the rest of my trip. I had one day to solve this problem and so I began the morning researching whether or not my credit card company had any purchase insurance in the fine print (they don’t) and then whether or not I could even afford to drop more money on a second instrument (I couldn’t). Relief is rain after a drought. I felt my cracks soften. I filled up again. Steadied. 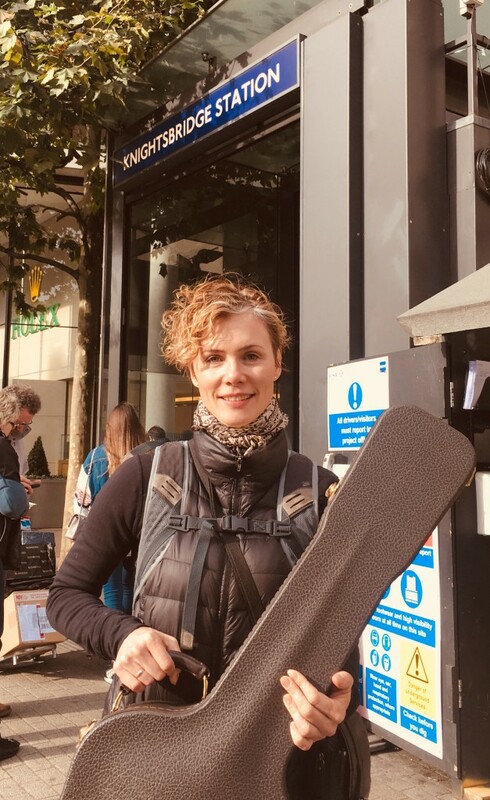 Getting my guitar back to me at the Knightsbridge station in London was especially significant. I grew up on a street called Knightsbridge Court in Burlington, Ontario. I had never been to the real Knightsbridge before and there I was, being reunited with my new musical baby, and it felt like a sort of homecoming. 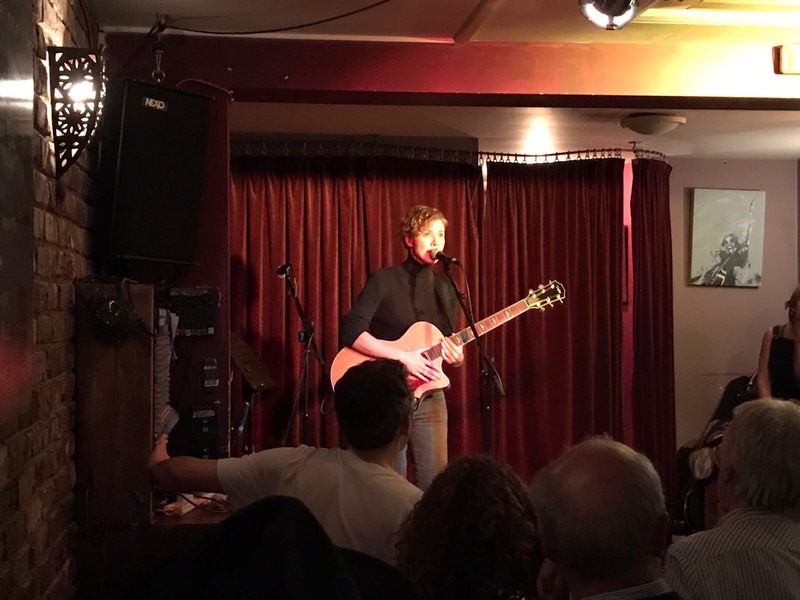 That evening, I performed at The Green Note’s infamous open stage (lined up for an hour outside to get on the performer’s list!) 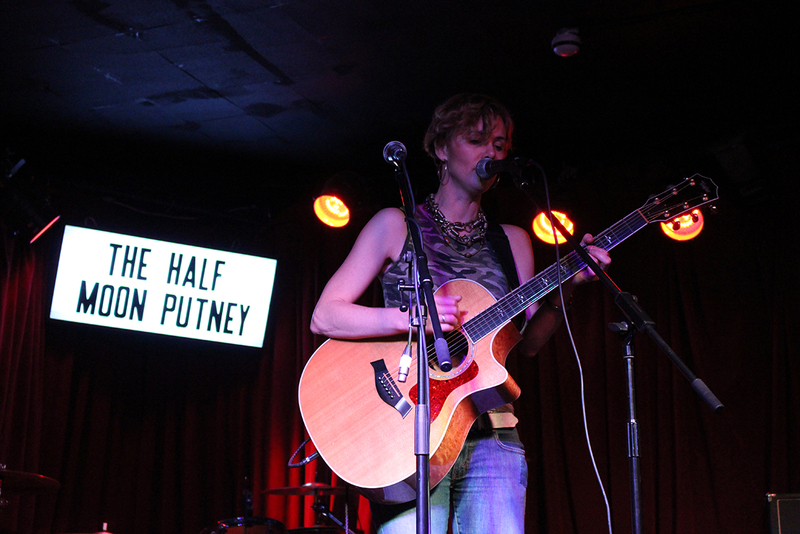 and told the audience about the guitar’s adventures so far. My set was especially lively thanks to relief’s injection. Even now, when I look at the guitar case sitting on the hotel room floor, I feel a tenderness wash over me. May that be the third and final major hurdle I need to jump over to now transition into a smooth tour.